Adam WR. Should doctors feel able to practise according to their personal values and beliefs? (Letter) Med J Aust. 2012 Feb 6;196:109. PubMed PMID: 22304597. An ethical concern that was raised by Conway in his article supporting the freedom to practise in accordance with conscience related to the problems that arise when patients - specifically children - are unable to express a considered opinion on any conflict between their clinicians and their legal guardians about their best interests. . .
Ahlin J, Ericson-Lidman E, Norberg A, Strandberg G. Revalidation of the Perceptions of Conscience Questionnaire (PCQ) and the Stress of Conscience Questionnaire (SCQ). Nurs Ethics. 2012 Mar;19(2):220-32. doi: 10.1177/0969733011419241. Epub 2012 Feb 20. PubMed PMID: 22354810. Abstract: The Perceptions of Conscience Questionnaire (PCQ) and the Stress of Conscience Questionnaire (SCQ) have previously been developed and validated within the 'Stress of Conscience Study'. The aim was to revalidate these two questionnaires, including two additional, theoretically and empirically significant items, on a sample of healthcare personnel working in direct contact with patients. The sample consisted of 503 healthcare personnel. To test variation and distribution among the answers, descriptive statistics, item analysis and principal component analysis (PCA) were used to examine the underlying factor structure of the questionnaires. Support for adding the new item to the PCQ was found. No support was found for adding the new item to the SCQ. Both questionnaires can be regarded as valid for Swedish settings but can be improved by rephrasing some of the PCQ items and by adding items about private life to the SCQ. Arnold PC. Should doctors feel able to practise according to their personal values and beliefs? (Letter) Med J Aust. 2012 Jan 16;196(1):38. PubMed PMID: 22256932.
pages with much interest, only to find that it seemed as if they would have been in agreement, had you put the scenarios they each describe to both of them. . .
Bedford EL. Abortion: at the still point of the turning conscientious objection debate. HEC Forum. 2012 Jun;24(2):63-82. doi: 10.1007/s10730-011-9156-7. PubMed PMID: 21769599. Abstract: The value of conscience in healthcare ethics is widely debated. While some sources present it as an unquestionably positive attribute, others question both the veracity of its decisions and the effect of conscientious objection on patient access to health care. This paper argues that the right to object conscientiously should be broadened, subject to certain provisos, as there are many benefits to healthcare practice in the development of the consciences of practitioners. While effects such as the preservation of moral integrity are widely considered to benefit practitioners, this paper draws on the work of Hannah Arendt to offer several original arguments in defence of conscience that may more directly benefit patients, namely that a pang of conscience may be useful in rapidly unfolding situations in which there is no time to reflect satisfactorily upon activities and that, given the hierarchical nature of healthcare institutions, a right to defy authority on the basis of conscience may benefit junior staff who lack the institutional power to challenge the orders of superiors. What Is Physician Noncompliance? I begin with a case to illustrate the problem I examine in this article: Suppose a primary care physician practicing in an underserved community orders a treatment for one of her indigent patients under the state's Medicaid program. Because coverage for this treatment was not provided under the reigning Medicaid rules, which had recently been changed so as to exclude this, the doctor decided to falsify her patient's condition so that he would qualify under the revised rules. . . Bowman M., Schandevel CP, The Harmony Between Professional Consience Rights and Patients' Rights of Access. SSRN, 2 March, 2012. Abstract: "Access" is the new catchphrase for expanding privacy rights. This shift moves from seeking merely legalization, to demanding government assistance and the participation of private citizens. The trend can be seen across a spectrum of activities such as abortion, contraception, doctor-prescribed suicide, and reproductive technologies. Shifting from legalization to access, however, has precipitated a variety of disputes over the "right of conscience" of health professionals who don't want to assist activities so defined under the right to privacy. Yet amidst this debate, advocates for and against the right of conscience tend to adopt some of the same, often unspoken, assumptions. Both sides tend to frame the debate as a conflict between the rights of the doctor - protecting her conscience - versus the right of the patient, to secure her access. Upon closer examination, the assumption of conflict proves to be neither accurate nor internally consistent, but a false premise of the access position itself. This article will begin by examining the chief access arguments being used against conscience protections today: that the health professionals hold a monopoly so they are bound to offer abortion, that health professionals must defer their pro-life consciences to abortion's legal status, and that health professionals must not impose their pro-life views. The article will conclude that, if access principles really flowed from a neutral concern for patient choices, they would require rather than strike down conscience protections. In many cases patients desire in their physicians the traditional Hippocratic values that unequivocally support human life and therefore oppose participating in activities such as abortion. The right of patients to access such physicians can only exist by guaranteeing the right of physicians to practice according to those values. Card RF. Is there no alternative? Conscientious objection by medical students. J Med Ethics. 2012 Oct;38(10):602-4. Epub 2012 May 3. PubMed PMID: 22556313. Cartwright-Smith L, Rosenbaum S. Controversy, contraception, and conscience: insurance coverage standards under the Patient Protection and Affordable Care Act. Public Health Rep. 2012 Sep-Oct;127(5):541-5. PubMed PMID: 22942474; PubMed Central PMCID: PMC3407856. The Patient Protection and Affordable Care Act (ACA) requires all health insurers and employee benefit plans to cover certain evidence-based preventive services without cost sharing. In July 2011, U.S. Department of Health and Human Services Secretary Kathleen Sebelius designated contraceptive services as such preventive services. By spring 2012, the controversy regarding what types of health plan sponsors would be able to claim an exemption from this requirement on the basis of moral or religious objections was in full bloom. This installment of Law and the Public's Health examines the preventive services coverage requirement and its implications for public health. Clvaner M. Should doctors feel able to practised according to their personal values and beliefs? (Letter) Med J Aust. 2012 Feb 6;196:109. PubMed PMID: 22408793. In a recent Opposing Views article, Conway claims that doctors should be able to practise according to their personal values, but the argument he uses is not persuasive. The ethical dilemma in the case is not characterised correctly. . . OBJECTIVE: The purpose of this study was to assess obstetriciangynecologists' regarding their beliefs about when pregnancy begins and to measure characteristics that are associated with believing that pregnancy begins at implantation rather than at conception. STUDY DESIGN: Wemailed a questionnaire to a stratified, random sample of 1800 practicing obstetrician-gynecologists in the United States. The outcome of interest was obstetrician-gynecologists' views of when pregnancy begins. Response options were (1) at conception, (2) at implantation of the embryo, and (3) not sure. Primary predictors were religious affiliation, the importance of religion, and a moral objection to abortion. independently and inversely with believing that pregnancy begins at implantation. CONCLUSION: Obstetrician-gynecologists' beliefs about when pregnancy begins appear to be shaped significantly by whether they object to abortion and by the importance of religion in their lives. Davenport ML, Lahl J, Rosa EC, Right of Conscience for Health-Care Providers. Linacre Quarterly 79(2) (May 2012): 169-191. Abstract: Health-care providers have been challenged by changes in medical practice to include abortion, euthanasia, and controversial fertility technologies. These procedures go beyond saving lives, healing disease, and alleviating pain, the traditional purposes of medicine. The foundational principles of Western medical ethics, as characterized by the Hippocratic Oath, have been weakened or even rejected. The consequences of abandoning the Hippocratic tradition are illustrated by the eugenics movement, the Nazi Holocaust, the Tuskegee experiments, and contemporary bioethics theories. Physicians and other health-care personnel are under institutional and governmental pressure to succumb to anti-Hippocratic ethics. Conscience clauses are a means of defending medical practitioners from these trends. Characteristics of conscience legislation that protect health-care providers are described. Strong conscience clauses also protect the public by ensuring the survival of healthcare personnel with shared Hippocratic values. Davis S, Schrader V, Belcheir MJ. Influencers of ethical beliefs and the impact on moral distress and conscientious objection. Nurs Ethics. 2012 Nov;19(6):738-49. doi: 10.1177/0969733011423409. Epub 2012 Jun 25. PubMed PMID: 22736753. Abstract: Considering a growing nurse shortage and the need for qualified nurses to handle increasingly complex patient care situations, how ethical beliefs are influenced and the consequences that can occur when moral conflicts of right and wrong arise need to be explored. The aim of this study was to explore influencers identified by nurses as having the most impact on the development of their ethical beliefs and whether these influencers might impact levels of moral distress and the potential for conscientious objection. Nurses whose ethical beliefs were most influenced by their religious beliefs scored higher in levels of moral distress and demonstrated greater differences in areas of conscientious objection than did nurses who developed their ethical beliefs from influencers such as family values, life and work experience, political views or the professional code of ethics. In the first year of a celebrated graduate program in bioethics, one of us wrote a short essay about physician-assisted suicide that claimed that murder is not only a breach of rights, but also a "grave affront to all human existence as well as to He who grants life." Well, that last part earned me a predictable scribble on the margins of my returned paper, something to the effect of, "What if someone does not believe in a Giver of life?" Hamric AB. Empirical research on moral distress: issues, challenges, and opportunities. HEC Forum. 2012 Mar;24(1):39-49. doi: 10.1007/s10730-012-9177-x. PubMed PMID: 22476738. Abstract: Studying a concept as complex as moral distress is an ongoing challenge for those engaged in empirical ethics research. Qualitative studies of nurses have illuminated the experience of moral distress and widened the contours of the concept, particularly in the area of root causes. This work has led to the current understanding that moral distress can arise from clinical situations, factors internal to the individual professional, and factors present in unit cultures, the institution, and the larger health care environment. Corley et al. (2001) was the first to publish a quantitative measure of moral distress, and her scale has been adapted for use by others, including studies of other disciplines (Hamric and Blackhall; Schwenzer and Wang 2006). Other scholars have proposed variations on Jameton's core (Sporrong et al 2006, 2007), developing measures for related concepts such as moral sensitivity (Lutzen et al. 2006), ethics stress (Raines 2000), and stress of conscience (Glasberg et al. 2006). The lack of consistency and consensus on the definition of moral distress considerably complicates efforts to study it. Increased attention by researchers in disciplines other than nursing has taken different forms, some problematic. Cultural differences in the role of the nurse and understanding of actions that represent threats to moral integrity also challenge efforts to build a cohesive research-based understanding of the concept. In this paper, research efforts to date are reviewed. The importance of capturing root causes of moral distress in instruments, particularly those at unit and system levels, to allow for interventions to be appropriately targeted is highlighted. In addition, the issue of studying moral distress and interaction over time with moral residue is discussed. Promising recent work is described along with the potential these approaches open for research that can lead to interventions to decrease moral distress. Finally, opportunities for future research and study are identified, and recommendations for moving the research agenda forward are offered. Lachter B. On the crisis of conscience. Australas Psychiatry. 2012 Apr;20(2):148-52. doi: 10.1177/1039856211432462. Epub 2012 Mar 26. PubMed PMID: 22452901. Abstract: Objective: This paper examines the crisis of conscience as portrayed in the biblical story of Abraham and Isaac. Conclusion: The perspective of allegory allows intense emotion to be contained, and placed in a socio-cultural context, which may work against bloodshed. Longerich B. [Conflicts of conscience]. Krankenpfl Soins Infirm. 2012;105(11):37. French. PubMed PMID: 23210208. Lützén K, Kvist BE. Moral distress: a comparative analysis of theoretical understandings and inter-related concepts. HEC Forum. 2012 Mar;24(1):13-25. doi: 10.1007/s10730-012-9178-9. PubMed PMID: 22454155. Abstract: Research on ethical dilemmas in health care has become increasingly salient during the last two decades resulting in confusion about the concept of moral distress. The aim of the present paper is to provide an overview and a comparative analysis of the theoretical understandings of moral distress and related concepts. The focus is on five concepts: moral distress, moral stress, stress of conscience, moral sensitivity and ethical climate. It is suggested that moral distress connects mainly to a psychological perspective; stress of conscience more to a theological-philosophical standpoint; and moral stress mostly to a physiological perspective. Further analysis indicates that these thoughts can be linked to the concepts of moral sensitivity and ethical climate through a relationship to moral agency. Moral agency comprises a moral awareness of moral problems and moral responsibility for others. It is suggested that moral distress may serve as a positive catalyst in exercising moral agency. An interdisciplinary approach in research and practice broadens our understanding of moral distress and its impact on health care personnel and patient care. Magelssen M. When should conscientious objection be accepted? J Med Ethics. 2012 Jan;38(1):18-21. doi: 10.1136/jme.2011.043646. Epub 2011 Jun 20. PubMed PMID: 21690230. Abstract: This paper makes two main claims: first, that the need to protect health professionals' moral integrity is what grounds the right to conscientious objection in health care; and second, that for a given claim of conscientious objection to be acceptable to society, a certain set of criteria should be fulfilled. The importance of moral integrity for individuals and society, including its special role in health care, is advocated. Criteria for evaluating the acceptability of claims to conscientious objection are outlined. The precise content of the criteria is dictated by the two main interests that are at stake in the dilemma of conscientious objection: the patient's interests and the health professional's moral integrity. Alternative criteria proposed by other authors are challenged. The bold claim is made that conscientious objection should be recognised by society as acceptable whenever the five main criteria of the proposed set are met. O'Rourke A, De Crespigny L, Pyman A. Abortion and conscientious objection: the new battleground. Monash Law Review (2012) Vol 38(3): 87-119. Abstract: This paper examines the vexed issue of conscientious objection and abortion. It begins by outlining the increasing claims to conscientious objection invoked by physicians in reproductive health services. After an examination of developments overseas, the paper turns to the acrimonious debate in Victoria concerning the conscience clause and the 'obligation to refer' contained in the Abortion Law Reform Act 2008 (Vic) ('ALRA'). This paper questions the interpretation by the Catholic Church that the clause breaches its right to freedom of conscience and freedom of religion. We argue that the unregulated use of conscientious objection impedes women's rights to access safe lawful medical procedures. As such, we contend that a physician's withdrawal from patient care on the basis of conscience must be limited to certain circumstances. 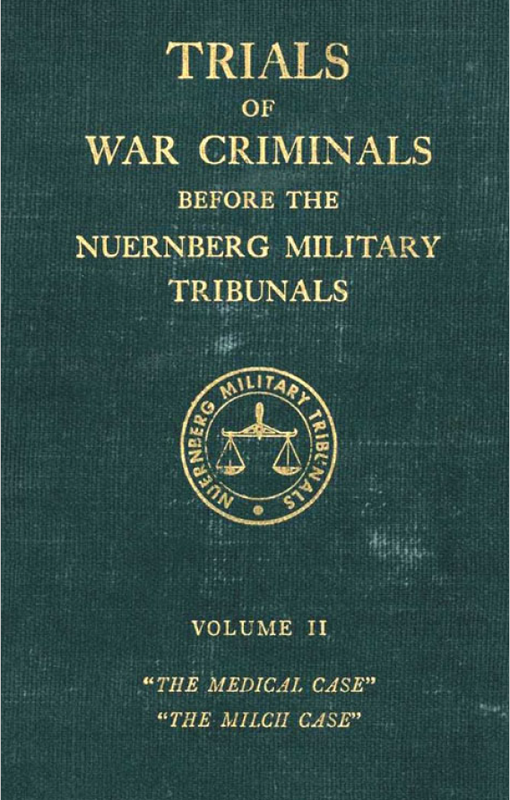 The paper then examines international and national guidelines, international treaties and recommendations of treaty monitoring bodies, laws in other jurisdictions, and trends in case law. The purpose of this examination is to show that the conscientious objection clause and the 'obligation to refer' in ALRA is consistent with international practice and laws in other jurisdictions. Finally, the paper turns to the problematic interpretation of conscience and moral responsibility in the context of abortion. We believe that narrow interpretations of conscience must be challenged, in order to incorporate patients' rights to include the choice of abortion and other lawful treatments according to their conscience. We conclude that the conscientious objection provisions in ALRA have achieved the right balance and that there is no justifiable legal reason upon which opponents can challenge the law. Pais P. Physicians and their conscience. Natl Med J India. 2012 Jan-Feb;25(1):54-5. PubMed PMID: 22680329. I read with some dismay the 'Letter from Glasgow' by H.S. Kohli. While I am in agreement with the second part of the article about physicians' relations with patients who have HIV or who have 'social' conditions, the first part contains sentiments that led to the deplorable actions of some of the medical fraternity in Nazi Germany. . .
Pawlikowski J, Sak JJ, Marczewski K. [Polish physicians'opinions concerning morally controversial medical practices]. Wiad Lek. 2012;65(2):90-6. Polish. PubMed PMID: 23289253. Saarnio R, Sarvimäki A, Laukkala H, Isola A. Stress of conscience among staff caring for older persons in Finland. Nurs Ethics. 2012 Jan;19(1):104-15. doi: 10.1177/0969733011410094. PubMed PMID: 22298646. Abstract: Caring for older persons is both rewarding and consuming. Work with older people in Finland has been shown to be more burdensome than in the other Nordic countries. The aim of this study was to try out a Finnish version of the Stress of Conscience Questionnaire (SCQ) and explore stress of conscience in staff caring for older persons in Finland. The data were collected from the nursing staff (n Â¼ 350) working with older people in health centre wards, municipal and private nursing homes, and municipal and private dementia care units in Finland. It emerged clearly from the results that Finnish nursing staff mostly felt that they did not have enough time to provide good care to patients, and this gave them a troubled conscience. They also felt that the demanding work taxed their energy, a consequence being that they could not give their own families and loved ones the attention they would have liked. Shaw DM, Busch J. Rawls and religious paternalism. J Med Philos. 2012 Aug;37(4):373-86. doi: 10.1093/jmp/jhs022. Epub 2012 Aug 21. PubMed PMID: 22914539. MacDougall has argued that Rawls's liberal social theory suggests that parents who hold certain religious convictions can legitimately refuse blood transfusion on their children's behalf. This paper argues that this is wrong for at least five reasons. First, MacDougall neglects the possibility that true freedom of conscience entails the right to choose one's own religion rather than have it dictated by one's parents. Second, he conveniently ignores the fact that children in such situations are much more likely to die than to survive without blood. Third, he relies on an ambiguous understanding of what is "rational" and treats children as mere extensions of their parents. Fourth, he neglects the fact that those in the original position would seek to protect themselves from persecution and enslavement and thus would not allow groups of children to be killed because of their parents' beliefs. Finally, Rawls makes it clear that we should choose for children as we would choose for ourselves in the original position, with no particular conception of the good (such as that held by Jehovah's Witnesses). Abstract: Two hundred years ago, Thomas Jefferson asserted that no law "ought to be dearer to man than that which protects the rights of conscience against the enterprises of the civil authority." Since then, freedom of conscience has continued to be heralded as a fundamental principle of American society. Indeed, many current policy debates--most notably in the medical and military contexts--are predicated on the theory that claims of conscience are worthy of legal respect. This Article, which offers a comprehensive account of the contemporary treatment of conscience, challenges established assumptions and seeks to reframe the debate about the normative value of conscience in American society. This Article first clarifies contemporary understandings of conscience by systematically analyzing its treatment in positive law. It looks beyond the traditional medical, military, and religious contexts, giving a descriptive account of law's treatment of conscience across various substantive realms, including tax evasion, civil disobedience, discrimination, and even violent terrorism. It demonstrates that legal accommodations are typically granted on an ad hoc basis, without a guiding doctrinal principle. If there is a consistent and coherent justification for treating cases differently, our legal system has thus far failed to provide it. This Article concludes that, in order for American law to reflect the kind of robust, autonomy-based respect for conscience to which every pluralistic society aspires, we must agree on a content-neutral guiding principle for negotiating future claims for legal accommodation. The alternative, the Article posits, is to concede that American society has abandoned the fundamental purpose of conscientious accommodation--namely, protecting the individual from oppressive majoritarian understandings of morality. Shuman AG, Khan AA, Moyer JS, Prince ME, Fins JJ. When negative rights become positive entitlements: complicity, conscience, and caregiving. J Clin Ethics. 2012 Winter;23(4):308-15. PubMed PMID: 23469691. Strickland SL. Conscientious objection in medical students: a questionnaire survey. J Med Ethics. 2012 Jan;38(1):22-5. doi: 10.1136/jme.2011.042770. Epub 2011 Jul 18. PubMed PMID: 21768618. Abstract: Objective: To explore attitudes towards conscientious objections among medical students in the UK. Methods: Medical students at St George's University of London, Cardiff University, King's College London and Leeds University were emailed a link to an anonymous online questionnaire, hosted by an online survey company. The questionnaire contained nine questions. A total of 733 medical students responded. Results: Nearly half of the students in this survey stated that they believed in the right of doctors to conscientiously object to any procedure. Demand for the right to conscientiously object is greater in Muslim medical students when compared with other groups of religious medical students. Discussion: Abortion continues to be a contentious issue among medical students and this may contribute to the looming crisis in abortion services over the coming years. This project sheds some light on how future doctors view some of their ethical rights and obligations. Using empirical evidence, it reveals that conscientious objection is an issue in the UK medical student body today. These data could help anticipate problems that may arise when these medical students qualify and practise medicine in the community. Conclusion: Clearer guidance is needed for medical students about the issue of conscientious objection at medical school. Sulmasy, DP. Conscience and clinical care. Transcript, Medconference 2012. (19-21 October, 2012) The American Association of Medicine and the Person.
. . . Conscience gets really misunderstood, and part of my task is to help you think more clearly about what it is we actually talk about when we talk about conscience. Many of us are still in some ways, are suffering from a disservice that was done to us in grammar school, or we never get beyond the grammar school conception of conscience. I don't know if it translates to other cultures, but American nuns used to talk to us about the good angel on one shoulder and the bad angel on the other, and that was the way we were taught to think about conscience, or as little voices that tell us what we ought to do. We somehow have this idea that it's a sort of direct intuition of what is right and wrong, that it just comes to everybody automatically and privately or that now, in the era of neuroscience and neuro-ethics, that there will be a brain center that we will find, or that will light up on a PET scan and that will tell us the difference between right and wrong. . .
Timm K. An examination of conscience: the Catholic identity of Catholic health care. Health Prog. 2012 Jan-Feb;93(1):6-11. PubMed PMID: 22288240. The American Medical Association Code of Medical Ethics' opinions on confidential care for sexually active minors and physicians' exercise of conscience in refusal of services. Virtual Mentor. 2012 Feb 1;14(2):118-20. doi: 10.1001/virtualmentor.2012.14.2.coet1-1202. PubMed PMID: 23116952. Opinion 2.12 - Genetic Counselling: Three primary areas of prenatal genetic testing are (1) screening or evaluating prospective parents for genetic disease before conception to predict the likelihood of conceiving an affected child; (2) analysis of a pre-embryo at the preimplantation stage of artificial reproductive techniques; and (3) in utero testing after conception, such as ultrasonography, amniocentesis, fetoscopy, and chorionic villus sampling, to determine the condition of the fetus. . .
Tuvesson H, Eklund M, Wann-Hansson C. Stress of Conscience among psychiatric nursing staff in relation to environmental and individual factors. Nurs Ethics. 2012 Mar;19(2):208-19. doi: 10.1177/0969733011419239. PubMed PMID: 22457384.
at 12 psychiatric in-patient wards in Sweden. The findings showed that Sense of Moral Burden, Mastery, Control atWork and Angry and Aggressive Behavior were related to Stress of Conscience. We conclude that Mastery and Control at Work seemed to work as protective factors, while Sense of Moral Burden and perceptions of Angry and Aggressive Behavior made the nursing staff more vulnerable to Stress of Conscience. Future research should investigate whether measures to increase the level of perceived control and being part of decision making will decrease the level of Stress of Conscience among the staff. Background: Despite continuing political, legal and moral debate on the subject, assisted suicide is permitted in only a few countries worldwide. However, few studies have examined the impact that witnessing assisted suicide has on the mental health of family members or close friends. Methods: A cross-sectional survey of 85 family members or close friends who were present at an assisted suicide was conducted in December 2007. Full or partial Post-Traumatic Distress Disorder (PTSD; Impact of Event Scaleâ€“Revised), depression and anxiety symptoms (Brief Symptom Inventory) and complicated grief (Inventory of Complicated Grief) were assessed at 14 to 24 months post-loss. Results: Of the 85 participants, 13% met the criteria for full PTSD (cut-off 35), 6.5% met the criteria for subthreshold PTSD (cut-off 25), and 4.9% met the criteria for complicated grief. The prevalence of depression was 16%; the prevalence of anxiety was 6%. Conclusion: A higher prevalence of PTSD and depression was found in the present sample than has been reported for the Swiss population in general. However, the prevalence of complicated grief in the sample was comparable to that reported for the general Swiss population. Therefore, although there seemed to be no complications in the grief process, about 20% of respondents experienced full or subthreshold PTSD related to the loss of a close person through assisted suicide. Zampas C, Andión-Ibañez X. Conscientious objection to sexual and reproductive health services: international human rights standards and European law and practice. Eur J Health Law. 2012 Jun;19(3):231-56. PubMed PMID: 22916532.
the main gaps in these standards. 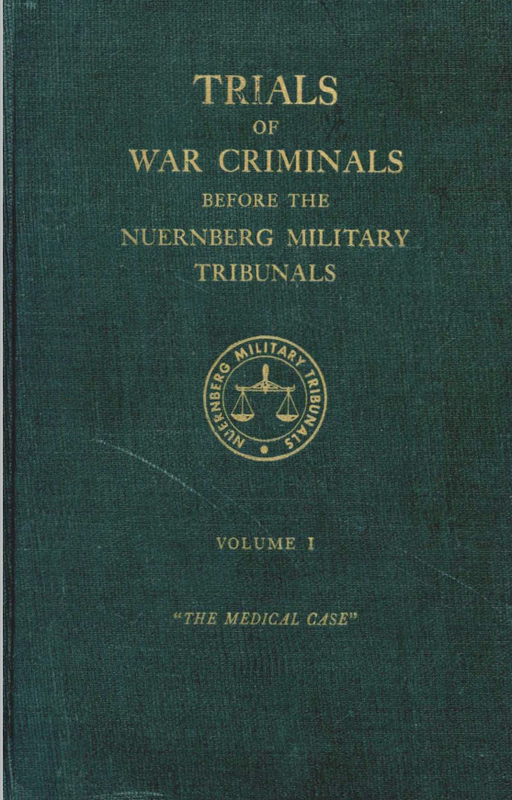 It illustrates how European countries regulate or fail to regulate conscientious objection and how these regulations are working in practice, including examples of jurisprudence from national level courts and cases before the European Court of Human Rights. Finally, the article will provide recommendations to national governments as well as to international and regional bodies on how to regulate conscientious objection so as to both respect the practice of conscientious objection while protecting individual's right to reproductive health care.